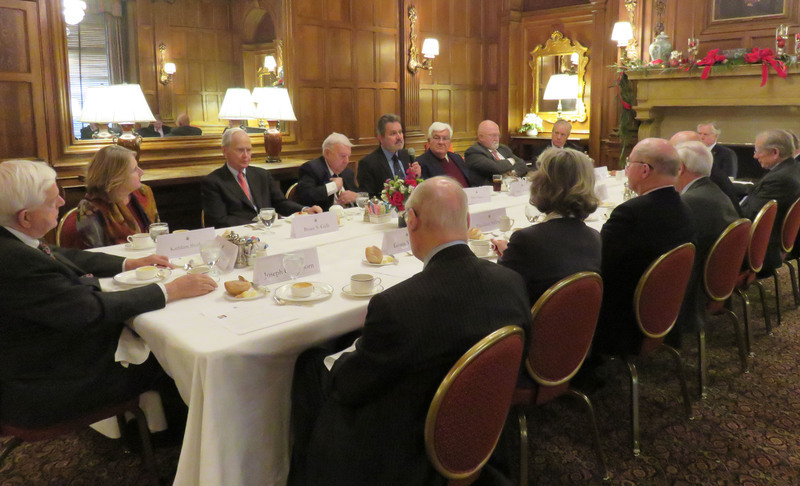 On Tuesday, December 6, the Council of American Ambassadors hosted a Holiday Ambassadors Roundtable with featured guest H.E. Haris Lalacos, Ambassador of Greece to the United States. Ambassador Lalacos's presentation and ensuing Q&A session with CAA members touched on matters such as the Greece migrant crisis, border security, progress in the Bulgarian-Greek relationship, Greece's energy diversification, and resolution of the country's economic debt crisis among other discussion topics. Ambassador Tom C. Korologos introduced Ambassador Lalacos and Ambassador Gilbert Robinson moderated the session.